Manipulation – Also referred to as an adjustment. An adjustment involves the use of a doctor’s hands to apply a direct and controlled force to the spine or extremities. Adjustments improve joint health and function by restoring movement to a dysfunctional joint. Manipulations are also very effective at reducing pain and relaxing muscle spasm. Mobilization – Low-force adjustments that provide a safe and gentle way to adjust the spine and restore normal biomechanical movement. Mobilizations are performed by hand or are instrument assisted. Motion Palpation – A biomechanical and evidence-based form of joint manipulation. Cox Flexion-Distraction – An evidence-based technique that utilizes principles of spinal decompression and traction to alleviate pain associated with disc herniations, spinal stenosis, and spondylolisthesis. McKenzie Method – An internationally-recognized diagnosis and treatment method for musculoskeletal pain of “mechanical” origin. 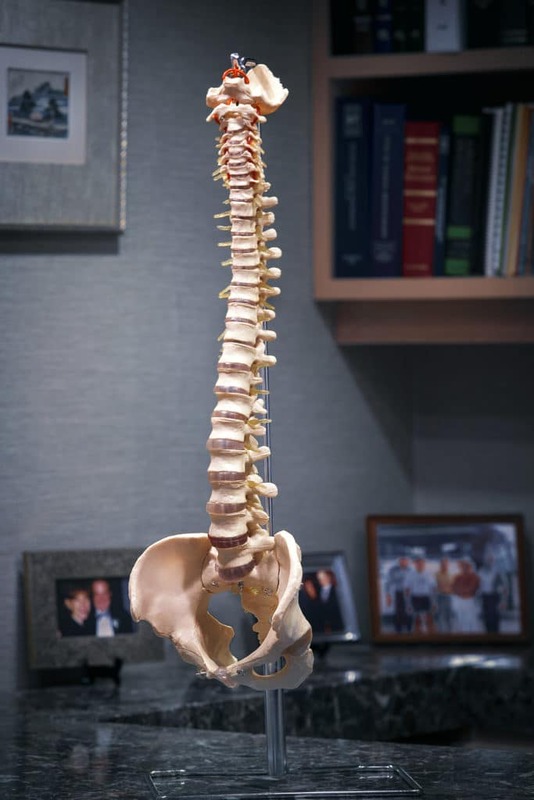 The McKenzie method is an evidence-based technique proven to relieve neck, lower back and extremity pain, as well as pain in the arms and legs, resulting from a disc herniation. Mulligan Concept – A manual therapy approach that restores normal, pain-free range of motion to joints with gentle movement based principles. Rehabilitation Exercises – Customized to address an individual’s specific needs and dysfunctions. Exercises should also be functional in their nature and enhance one’s ability to perform daily tasks (i.e. walking, sitting, playing sports, etc), through targeted strength gains. The doctors at Birmingham Chiropractic Clinic have taken courses domestically and internationally with many world experts in fitness and rehabilitation. For more details on the philosophies and principles Birmingham Chiropractic Clinic utilizes in practice click here. Dynamic Neuromuscular Stabilization – DNS utilizes neurodevelopmental principles to restore form and function to the human body. DNS is a technique taught out of the Prague School in the Czech Republic to address a wide range of musculoskeletal, neurological and pediatric developmental disorders. It is profoundly beneficial in the treatment of children, adults and athletes. Dr. Joel Kirsch utilizes these principles on a daily basis and routinely travels to Prague to sharpen his skills and advance his practice. Selective Functional Movement Assessment – SFMA is a movement based diagnostic system designed to clinically assess 7 fundamental movement patterns in those with musculoskeletal pain. The assessment provides an efficient method to systematically find the cause of symptoms by breaking down dysfunctional patterns and then diagnosing their root cause as either a mobility problem or a stability/motor control problem. Soft Tissue Release – Soft tissue techniques work to ease tension in muscles and connective tissue. Deep tissue massage and myofascial release techniques are also very effective in breaking up adhesions and scar tissue that form post-injury and/or post-surgery. Kinesiotape – A comfortable, waterproof, non-latex rehabilitative tape applied over and around the muscles. It re-educates the neuromuscular system, promotes lymphatic flow, reduces pain, enhances performance, prevents injury and promotes injury resolution. Custom-Fit Orthotics – Orthotics are used to prevent, reverse, or comfortably manage many common foot, lower extremity, and spinal problems. Nutritional Advice – .Nutritional supplements and general dietary advice may be recommended to promote musculoskeletal health and expedite healing. Birmingham Chiropractic Clinic recommends a select group of vitamins and supplements whose reputations far-exceed the standards within the industry. For more information on the supplements found at Birmingham Chiropractic Clinic, please don’t hesitate to inquire. This list of techniques will continue to expand for the benefit of our patients, as the doctors at Birmingham Chiropractic Clinic prioritize engagement in continuing education on a frequent basis.